Kakuda, Aoyama, and Yamamoto rooms, Poston 1 Barrack 2. 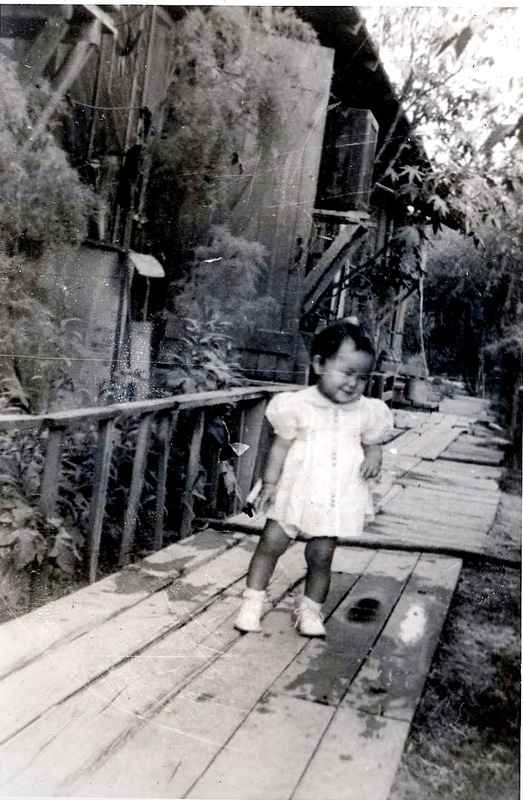 Terri Kakuda on wooden walk way above damp cooling area between barracks. Note the water oozing from knothole. Open door way is the entrance to Aoyama's 12 ft by 12 ft room. Foreground is a home made swamp cooler and in the background is a residential swamp cooler.